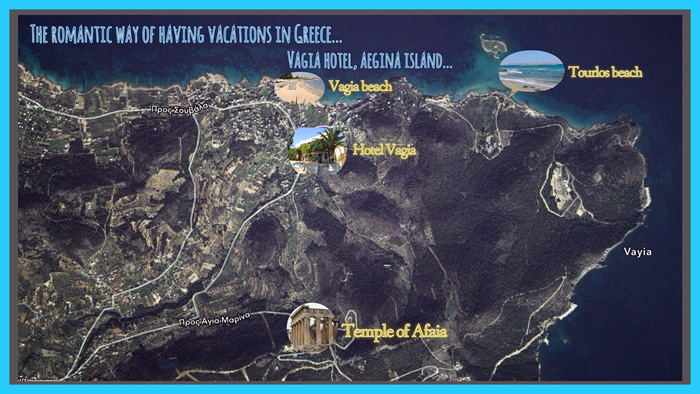 Vagia (Vaia, Vayia) is a small village located in the northeast corner of the island. 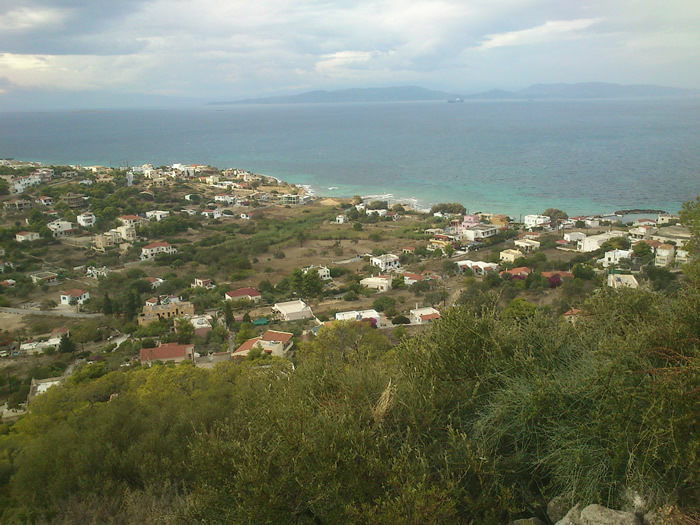 The hills in this corner of the island are covered with pine-forest. 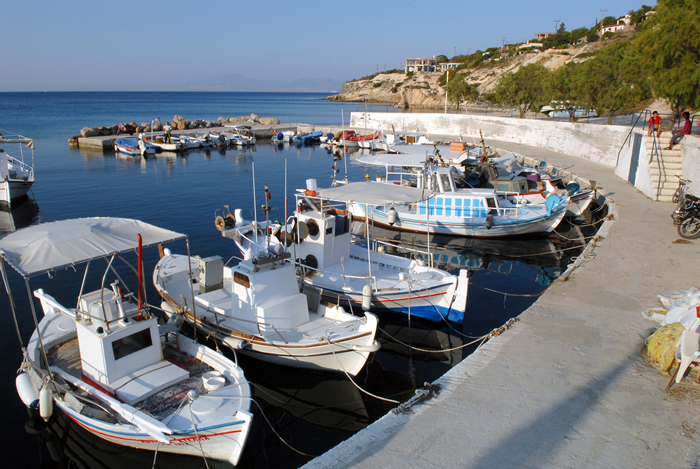 The village has a picturesque small harbor with many small colored fishing boats. 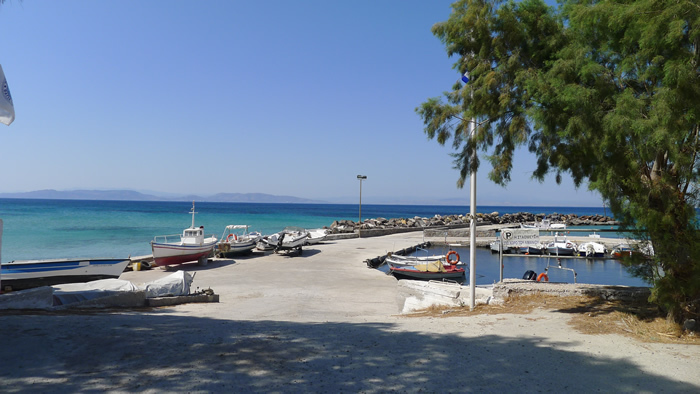 Next to the harbor on the left, you can find a big sandy beach and a smaller one on the right. 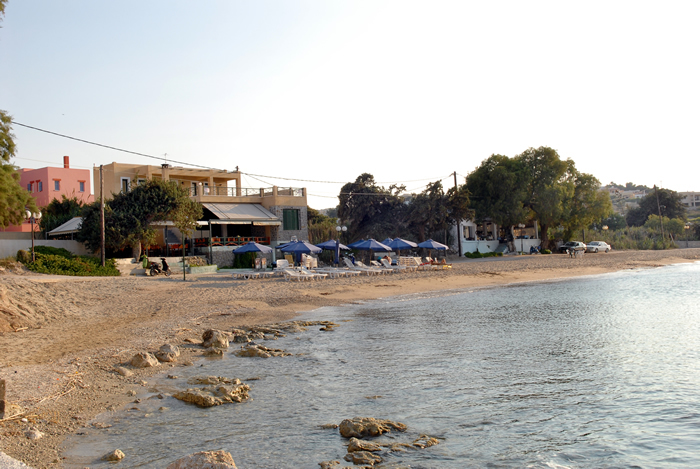 From the end of May until the middle of September the two taverns set on the beach are offering sun beds and umbrellas for free to clients. 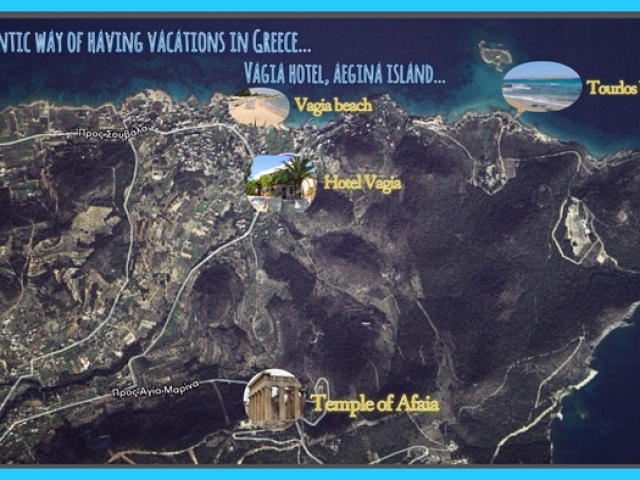 Based on archeological finds it has been proven that Vagia was also inhabited in antiquity. 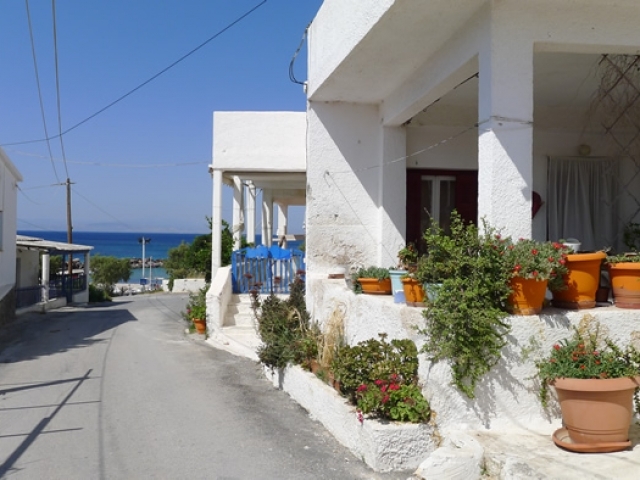 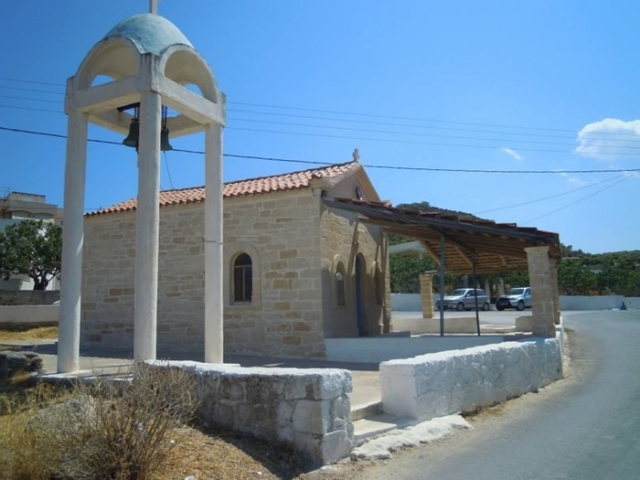 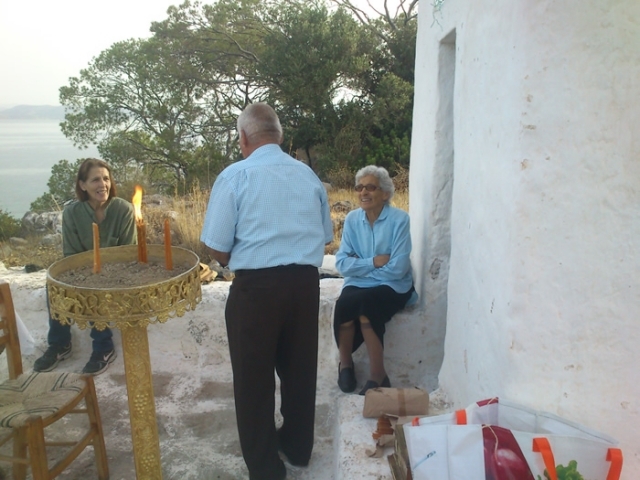 The village has not a real centre but the villagers point the little church of Agia Paraskevi and Agia Sotira as the centre point. 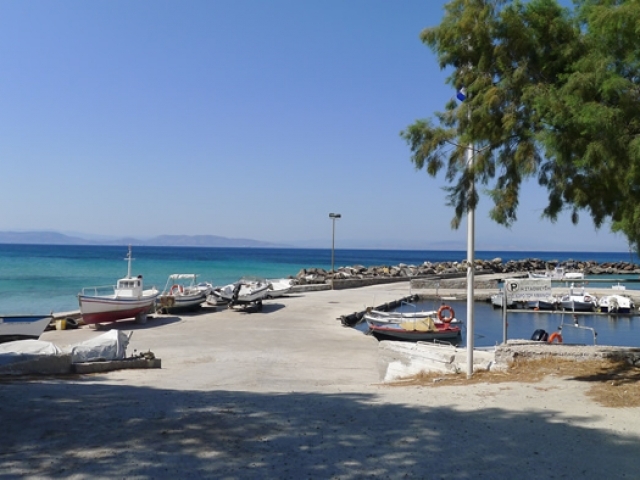 It sits at the junction of two small roads, one leading down to the main beach, and the other to a place called Tourlos (with the little island Nisida opposite. Tourlos was chosen by the Germans in WW II as the most strategic position on the island and ruins of their base can be found scattered on the hills. 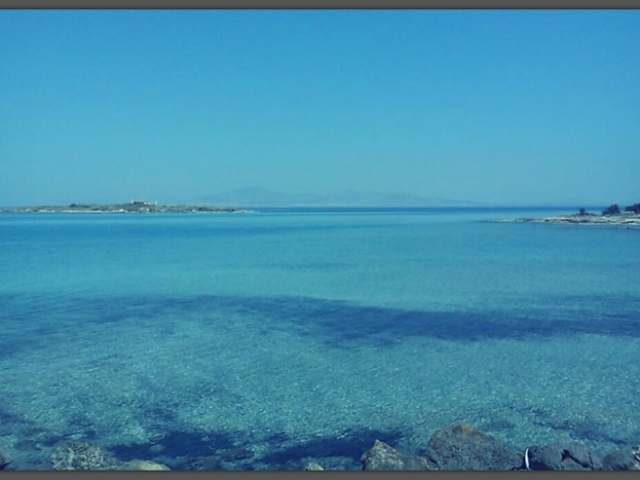 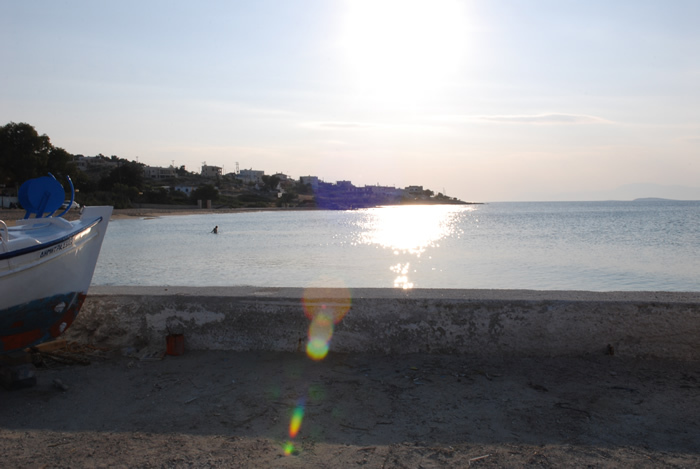 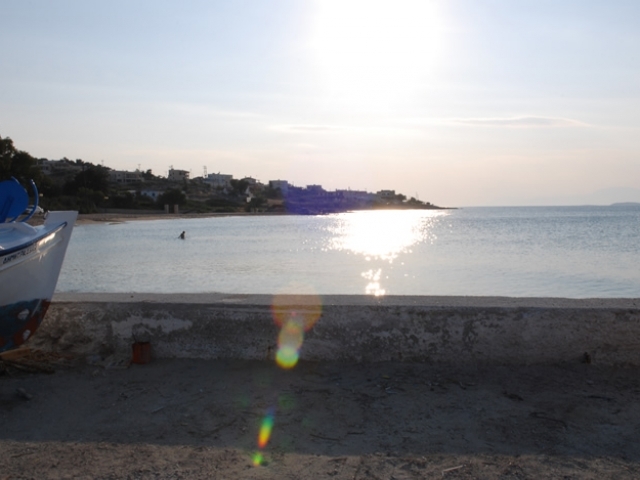 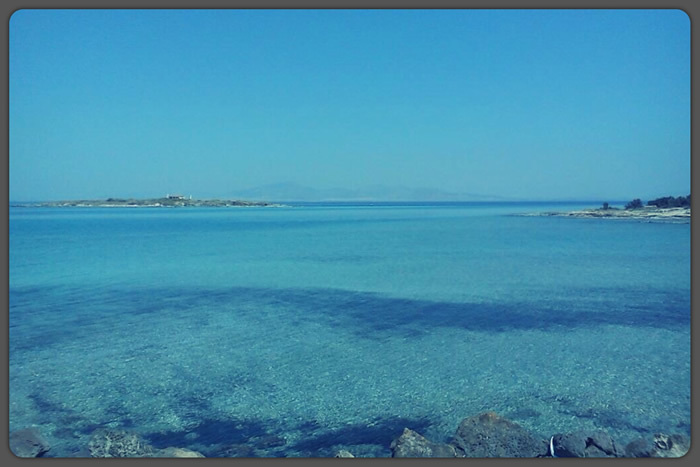 For the swimmers looking for some privacy, there is also the stunning beach of Tourlo just 250 meters from our hotel. 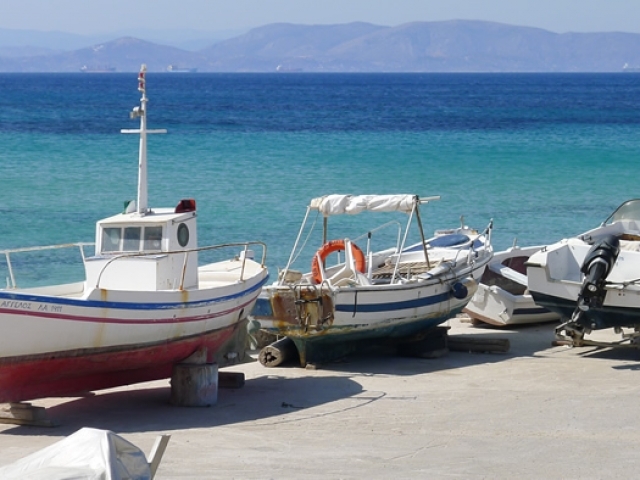 Get your picnic basket ready and off you go for your little excursion! 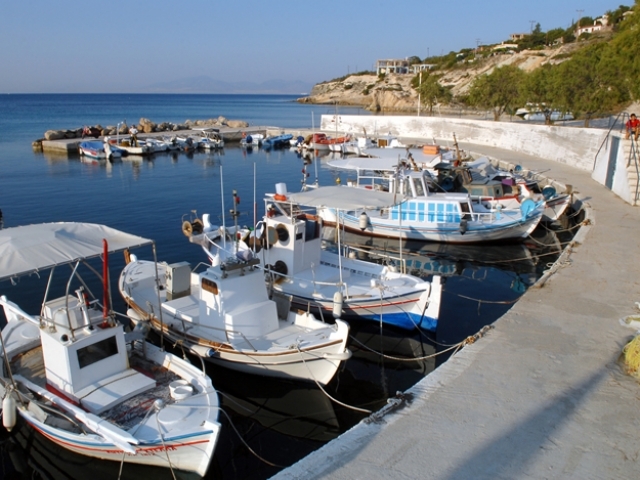 Surrounded by green pine trees and inspiring landscapes, Vagia is the ideal destination for your relaxing holidays in Aegina and has been the main inspiration for Zorz Sarris famous graphic novels “The Treasure of Vagia” and “Ta Stena Papoutsia”. 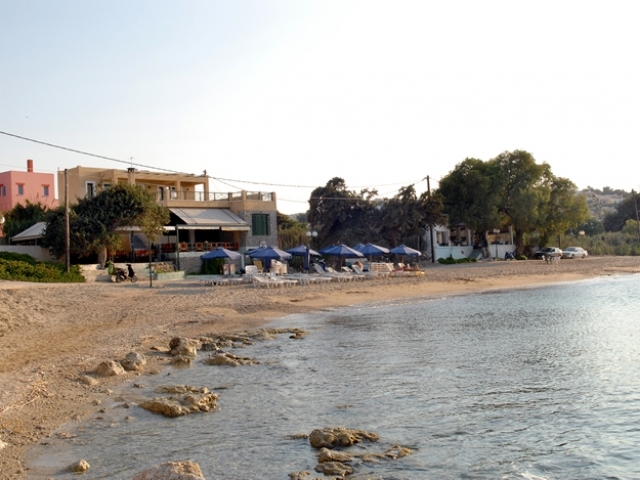 Vagia is perfect for those who may wish to avoid crowds and offers a great sense of peace and relaxation, though is close enough to offer visitors easy access to other towns of the island, where you can find various forms of nightlife and entertainment. 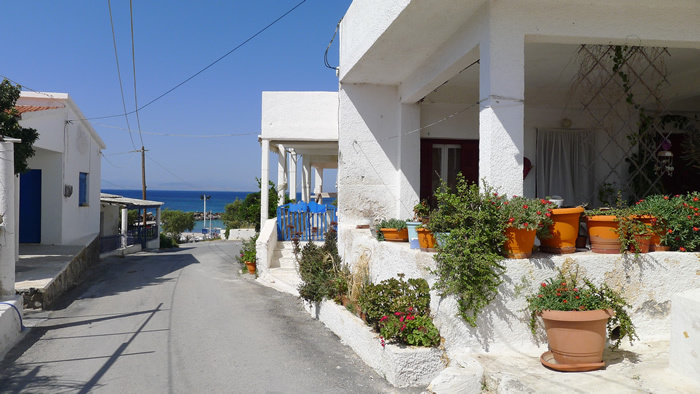 You can rent bikes, mopeds and cars directly from our hotel. 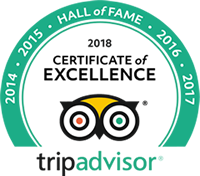 Moreover Vagia makes the ideal starting point for someone to visit some of the historical and archaeological sites of the island.One of the most well preserved ancient temples in the world is situated within a 30 minutes walking distance from our hotel. 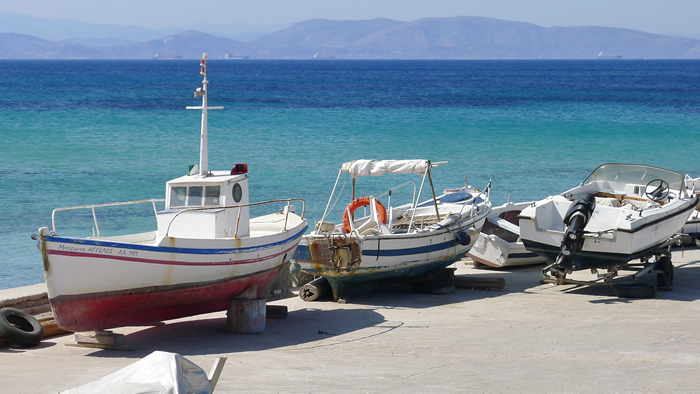 Within 5 minutes walk from Vagia hotel, guests can find eight small taverns offering a big selection of local delicacies that will satisfy even the most demanding palates.